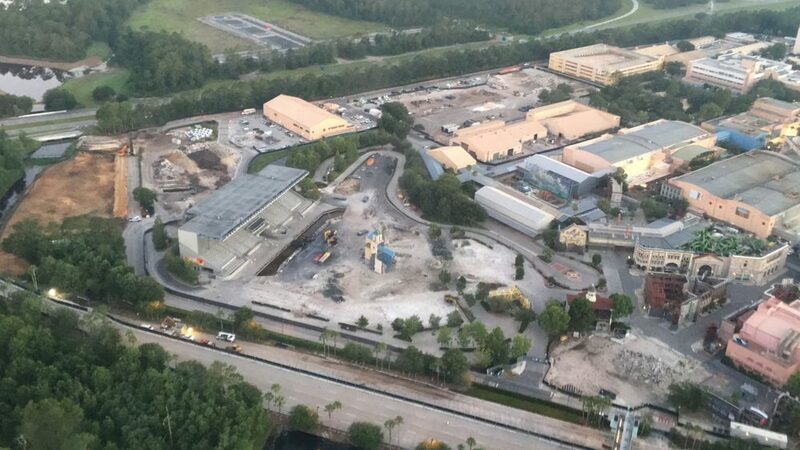 The Premier Theater is gone, most of the Lights, Motors, Action! backdrop is history, and most of the land behind Toy Story Midway Mania is pretty clear. The entrance on Wodl Drive has lost a few lanes already, but no word yet on when they might actually close it. Catastrophe Canyon was situated behind the LMA seating area, but as you can see there are little traces of it left. Not much of the Streets of America has been touched at this point. There is still a bit of demolition to do, but it should wrap up before Summer’s end. We expect vertical construction of the two lands to start in the Fall.